Professor in Obstetrics and Gynaecology, School of Medicine, Cardiff University (2011-2016) and Senior Consultant in Gynaecology and Reproductive Medicine at the University Hospital of Wales (1998-2016). 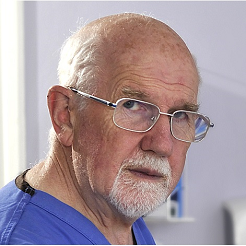 He retired from the University in February 2016 but continues as an Honorary Consultant Obstetrician and Gynaecologist at Cardiff and Vale University Health Board and maintains Private Practice at Spire Cardiff Hospital. 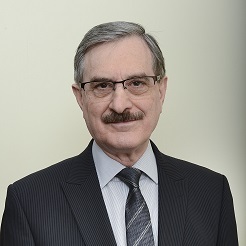 He qualified from the College of Medicine, University of Baghdad, Iraq in 1974, obtained his MRCOG in 1985 and PhD in reproductive medicine from London University in 1996. Trained at the Royal Victoria Infirmary, Newcastle upon Tyne (1992-1994) and was appointed as a consultant at Gateshead Hospitals NHS Trust (1994-1998). Nazar was responsible for the delivery of the Fourth year of the undergraduate curriculum at the School of Medicine (2001-2009). He founded and Directed the Ultrasound Masters programme at the University (2004-2016) and regularly supervised undergraduate and postgraduate (MSc/MD/PhD) students. He was the Ultrasound lead for the Welsh Deanery (2008-2016) and a member of the Deanery’s School of Obstetrics and Gynaecology training committee (1999-2016), was a member of the Royal College of Obstetricians and Gynaecologists Specialist Training Committee (1999-2002), and the RCOG Welsh Executive Committee (2003-2010). He was the founding President of the British Society for Gynaecological Imaging. Dr Scott is a General Practitioner based in Cardiff, Wales. She studied Medicine at the University of Melbourne, graduating with honours in 1980, and has practised in both Australia and the United Kingdom. Her postgraduate qualifications include the Diploma of the Royal College of Obstetricians and Gynaecologists. She is a senior medical practitioner with a broad base of both medical and business skills, having management experience in the organisation and running of four NHS practices over a period of almost 30 years. She is committed to the education of future generations and has been actively involved in the training of GP registrars for more than 10 years, providing one to one education and support, and receiving excellent feedback in her evaluations. She is committed to the provision of high quality educational programmes, tailored to each individual learner so they may achieve their personal goals within a well supported framework. 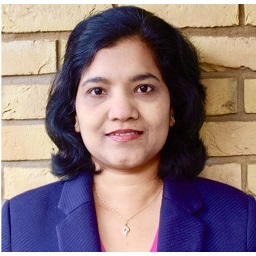 As an educator with a background in software design, Abina has successfully created and implemented e-leaning resource throughout her teaching career. 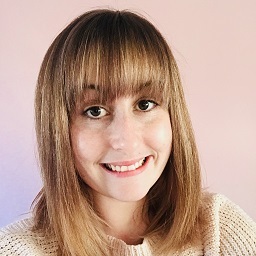 She now uses her ten years of teaching experience to develop more sophisticated systems that enhance teaching and deliver an online personalised learning experience. Abina studied Physics at the University of Manchester, graduating in 1999, she went on to complete a Masters in Virtual Environments at the University of Salford, Centre for Virtual Environments, graduating in 2000. 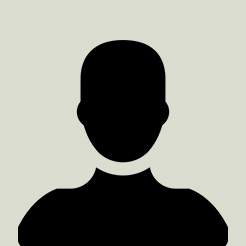 For the following five years, Abina worked as a software engineer. She decided to become a physics and mathematics specialist teacher, training in 2005 for this role. From the start of her teaching career, Abina worked to improve and utilise e-learning resources. As emerging technologies entered schools she was at the forefront of the effective use of IT in the classroom. Abina is also an examiner for Cambridge International Examinations in both maths and physics. Professor Neil Pugh, School of Engineering at Cardiff University read Physics at the University of Wales, Swansea then moved to Manchester. He completed his MSc at Leeds University before returning to South Wales in 1985, following that he completed a PhD thesis investigating the effects of contrast media. Since 2001, he has been a Consultant Medical Physicist and Head of Ultrasound Physics at the University Hospital of Wales, Cardiff. He has been active in ultrasound education and research and has supervised numerous PhD students completing their theses in vascular ultrasound applications. 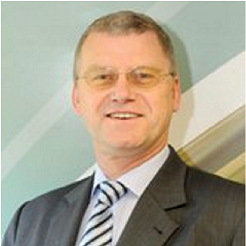 He is the current president of the British Society for Gynaecological Imaging. Mr. Alan Treharne is an obstetrician and gynaecologist practicing in Carmarthen, Wales. He graduated from St. Georges Hospital Medical School in 2005, becoming a member of the Royal college of Obstetricians and Gynaecologists in 2013. He was awarded a Postgraduate Diploma in Obstetric and Gynaecological ultrasound from the School of Medicine, Cardiff University in 2015. He incorporates ultrasound skills into all areas of his practice, having interests in early pregnancy, acute gynaecology and operative hysteroscopy. He is Honorary secretary of the British Society of Gynaecological imaging, having been a member since 2009. Alan has demonstrated a commitment to delivering high quality education and training and has done so locally, nationally and internationally. Trained in Radiology at Cardiff and graduated as Fellow RCR 1976. First Consultant Radiologist appointment East Glamorgan Hospital practiced as a general Radiologist and began an obstetric and general ultrasound service. In 1982 appointed Consultant Radiologist at the CRI and UHW, worked general Radiologist with specific interests in ultrasound and Uroradiology. In 1989, he was appointed Lead Consultant in general ultrasound at UHW. He has published over 80 papers and gave numerous presentations, co-authored 4 ultrasound textbooks and written chapters for 6. He continues with his clinical and research interests. Dr Wiener has an excellent track record both as a clinician and an educator. Qualified from the Welsh National School of Medicine in 1971, obtained the Diploma in Obstetrics, Royal College of Obstetricians and Gynaecologists in 1973, MRCOG in 1976 and Fellowship of the RCOG in 1995. In the intervening years she completed Diploma in Philosophy and Health Care in 1993 and the joint RCOG-RCR certificate of Advanced Training in Obstetric Ultrasound in 1993. Dr Wiener retired from clinical practice as Consultant in Obstetrics and Gynaecology at the Royal Gwent Hospital, Newport, Wales in 2006. She continued to teach obstetric and gynaecological Ultrasound both at the Royal Gwent Hospital and at the University Hospital till December 2014. She provides “ad hoc” locum Consultant in Obstetrics and Gynaecology and is an Honorary Senior Lecturer at the University of Wales, College of Medicine. She has also provided Ultrasound Consultancy service to MedaPhor plc since 2012. Dr Wiener has more than 30 publications in the fields of obstetrics, gynaecology and ultrasound. Mrs Rezan Abdul-Kadir, Consultant Obstetrician and Gynaecologist at the Royal Free Hospital, London and Honorary Reader in Obstetrics and Gynaecology at University College Hospital, London. 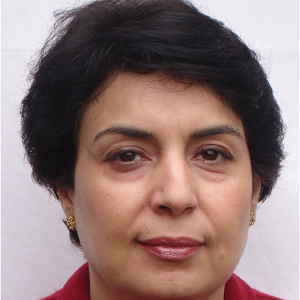 Rezan qualified from the College of Medicine, Baghdad University, Iraq and obtained membership of the RCOG in 1993, fellowship of the RCS in 1995 and ultimately her MD in 2000. In the intervening years she completed the joint RCOG/RCR Diploma in 1998. Rezan completed her obstetrics and gynaecology training at the Royal Free Hospital in London where she developed special interest leading to an MD in haemophilia and blood disorders in pregnancy. 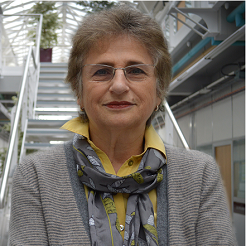 She is regarded as an international expert in this field and has supervised numerous postgraduate students studying for higher degrees in this field. She has also made significant contributions to the field of ultrasound, in particular in relation to fetal and maternal wellbeing in pregnancy. Dr Zaid Al Dabbagh is a consultant interventional radiologist at the Royal Free London Foundation Trust, Barnet and Chase Farm hospitals. He is the directorate ultrasound lead and has special interest in musculoskeletal and small parts ultrasound and imaging-guided interventional procedures. He completed his radiology training at the Imperial College, St Mary’s Foundation Trust in Paddington, London. Karen Woodcock is a Nurse Consultant who has worked in the field of Reproductive Medicine since 1991. 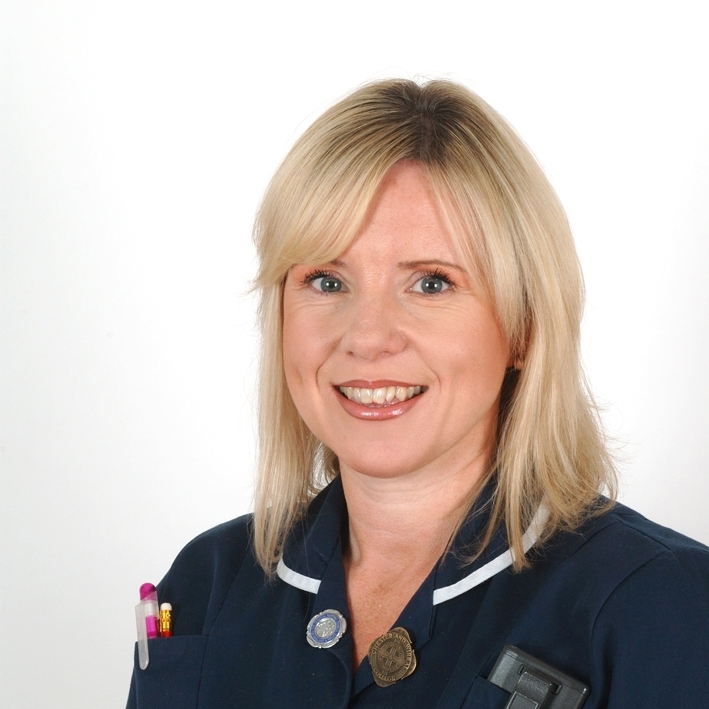 Karen is the Lead/ Consultant Nurse in the Fertility and Assisted Conception Unit at the Countess of Chester Hospital NHS Foundation Trust Hospital and Cheshire Women’s Health. 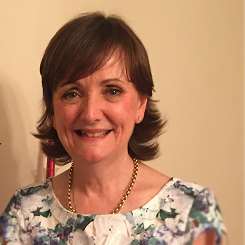 Karen undertook a PGD at Masters Level in Medical Imaging at the University of Liverpool, was the first nurse in the UK to successfully complete this training and was awarded a distinction. 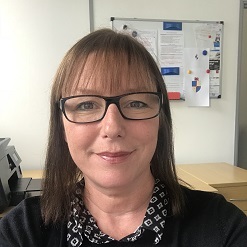 Karen up until October 2015 was the Chairperson for the BFS Training sub-committee having previously been the lead for pelvic ultrasound training for the society prior to this appointment. Karen at the same time was the elected nurse representative on the British Fertility Society Executive Committee. 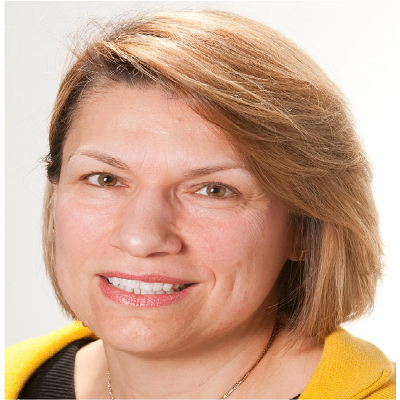 Karen is also a recognised trainer for the British Fertility Society Ultrasound training and is actively involved in promoting education and training of medical and nursing personnel. Karen has undertaken national and overseas lecturing on the field of reproductive medicine and in 2016 was honoured to be part of a faculty of four clinicians who undertook ultrasound training in Zambia to doctors and midwives as part of a BFS initiative. Dr Suman Vohra is an experienced sonographer with over 20 years of experience in the field of medical ultrasound. She is proficient in the fields of high risk Obstetrics, Gynecology and Medical Ultrasound scanning. A senior sonographer who has worked at the Royal Free Hospital in London for seven years and was the Screening Support Sonographer for the Royal Free NHS Trust for three years. Dr Vohra has also worked at the Rosie Hospital, University Hospitals of Cambridge, NHS Trust for a year. She is currently working at the Royal Free Hospital in London. She has a Master’s degree in Obstetrics and Gynaecology Ultrasound from Bournemouth University and has a Post graduate certification in General Ultrasound from the same University. Dr Vohra is actively involved in ultrasound education and has presented scientific papers at national and international forums. She also has a number of publications to her credit. She has been involved in the ultrasound training of GPs, nurses, midwives, sonographers and junior doctors, since 2011. Before coming to the UK in 2007, she worked as a Consultant Sonologist with special interest in Fetal medicine for eleven years at Indraprastha Apollo Hospital in Delhi, where her practice included general medical, thyroid and prostate ultrasound including ultrasound-guided biopsies. Whilst in Delhi, she was an active member of the Delhi Chapter of IFUMB (Indian Federation of Ultrasound in Medicine and Biology) and ISPAT (Indian Society of Prenatal Diagnosis and Therapy). 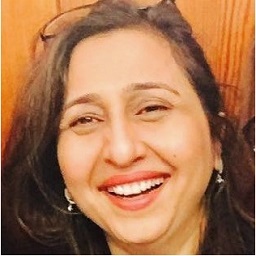 Ms Anita Nargund currently works as a consultant Obstetrician and Gynaecologist at the Royal Gwent Hospital, as well as the Lead for Minimal access surgery for Aneurin Bevan University Health Board, specilaising in management of advanced endometriosis, and is a member of a multidisciplinary pelvic pain clinic. Before moving to the UK, she qualified in India, and obtained a Masters in Obstetrics and Gynaecology, and a distinction for her postgraduate Diploma in Gynaecology Ultrasound from Cardiff University. In 2010 she became a member of the RCOG, and completed the RCOG curriculum for ultrasound. Additionally, she completed extensive training in general Gynaecology, as well as advanced training in minimal access surgery, in the UK and abroad. As a result, her ultrasound skills provide safe, efficient and effective services in Obstetrics and Gynaecology. As a lead for minimal access surgery she regularly undertakes pelvic ultrasound investigation in her clinics, including color Doppler assessment of adnexal masses and also utilise the opportunity to teach the trainees. Ms Nargund is an enthusiastic and passionate teacher, and is actively involved in teaching Obstetrics and Gynaecology ultrasound skills to the trainees from Wales deanery. The feedback she has received has been very positive and has evolved her teaching skills. Her interest is teaching and training, specialising in Minimal access surgery. She is keen to share her experience in these areas and assist the trainees in continuous development of their skills. Dr Chiara Frendo-Balzan is a Specialty doctor working in Obstetrics and Gynaecology. In 2005, she graduated in Malta, and her vision was to achieve higher training abroad. This brought her to Wales to pursue her training in obstetric and gynaecological ultrasound within Cardiff University. She graduated with a Diploma in 2012. Taking this new skill, she applied for specialty training in O&G in 2008. She has now gone through her training and has achieved European Fellowship in O&G. Chiara is pursuing further studies in Clinical Leadership and Management. Dr Chiara Frendo-Balzan has a strong drive for improvement within the healthcare system and aspires to influence change to adhere to modern times, despite the adversity the NHS has been facing. Chiara loves teaching, whether it is medical students or colleagues. Any opportunity is taken to share knowledge, and acquire more, and as a result Chiara is a co-author of a revision-aid book for specialist exams in Obstetrics and Gynaecology. Ferha Saeed grew up in Karachi and qualified from Sind Medical College. She trained at Lady Dufferin and Liaquat National Hospitals and then worked as a faculty at Aga Khan University Hospital before moving to the UK in 2009. She is a strategic clinician, academic and an educator, skilled in Fetal Medicine and high risk intrapartum care and with specialist experience in prevention and management of a wide range of emergency Obstetrics. Being very passionate about delivering high quality patient care with a strong focus on Transformational Training, Risk Management and Patient Experience, she firmly believes in improving safety and quality of care by transformational teaching and training through interprofessional clinical learning in the workplace. She has developed in-situ training Workshops on Obstetrics emergencies, and she has been the course faculty for: POST (Practical Obstetric Skills Training) course, Obstetrics Doppler’s Course and MRCOG part 3 Course, as well as others. 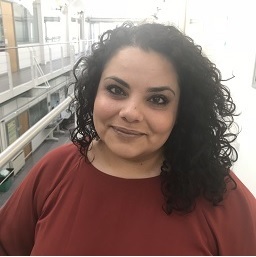 Ferha Saeed is also the Lead CTG trainer and patient safety Champion for NUH and also the co-founder of the ANNA (Alan Naftalin Newham Academic) charity with the aim of focused and intense training of Junior Doctors and MWs at Newham. She conducts regular Kiwi training as a Master trainer for Clinical Innovation in Europe and Asia, and is very keen to share her passion and training projects with the trainees and trainers in Pakistan. MBBS, FCPS, FRCOG; Consultant Fetal Medicine, Obstetrician & Gynaecologist, Newham University Hospital, Barts NHS, London; Director Perinatal Network Barts Health; RCOG Clinical Tutor, NUH, Barts Health; Honorary Consultant, Centre for Fetal Care, Queen Charlotte & Chelsea Hospital, Imperial Health NHS Trust; Honorary Clinical Senior Lecturer, Centre for Primary Care & Public Health, Blizard Institute, Barts & London School of Medicine & Dentistry, Queen Mary University of London. Stephen Hall is a senior Vascular Scientist based in Newport, South Wales. He studied Biomedical Science at Cardiff University and graduated in 1996. He has worked for more than 20 years in Healthcare, initially as an Operating Department Practitioner, and then became a fully accredited Vascular Scientist in 2007 (Society for Vascular Technology GB and Ireland). 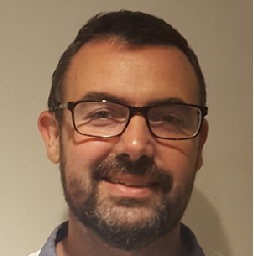 With 14 years’ experience in the field of vascular ultrasound he has now completed over 20,000 scans, specialising in peripheral arterial/venous and carotid artery imaging. 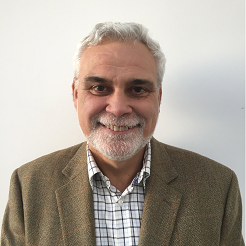 He has been regularly involved in training and development including the teaching and assessment of students, and has been involved in various studies and trials. He is enthusiastic to share knowledge and passionate to deliver and maintain excellent clinical standards. 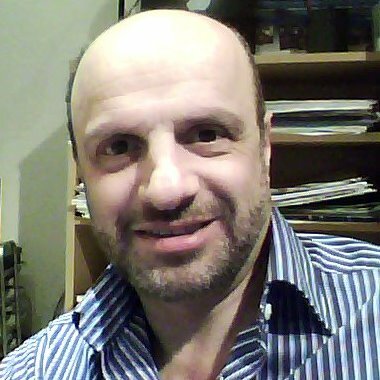 Mr Costas Panayotidis was born in the UK in 1973 and studied medicine at the University of Louis Pasteur in Strasbourg, France, qualifying in 1997. After completing GP training in 2000 he carried out research into hypo fertility and intrauterine insemination and obtained an MSc in Reproductive Science. In 2001 he returned to the UK where he completed his full training in obstetrics and gynaecology, obtaining his specialist certification in 2008. Following this Mr Panayotidis completed an MSc in Advanced Gynaecological Endoscopy with the University of Surrey 2011 and worked as a Consultant in Cornwall and West Wales. 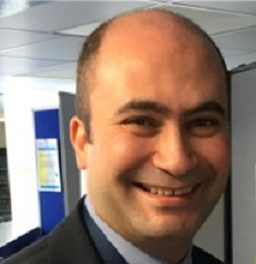 In June 2014 Mr Panayotidis moved to the Isle of Wight to take up a permanent post as Consultant in Obstetrics and Gynaecology, and Lead for Early Pregnancy and Fertility services. He has published a number of academic papers and he completed recently a clinical MSc in Advanced Gynaecological Ultrasound in Cardiff University with honour distinction (under the supervision of Professor Amso, Director of the university program). He was elected office member of the British Society of Gynaecological Imaging in 2016 and he is actively involved in national projects of the society. He is a very enthusiastic teacher and been involved with medical education for many years with emphasis in laparoscopic surgery (effective box trainer usage) and ultrasound hands on training. Mr Panayotidis is one of the few members of the faculty who was trained by the senior members of AMSO and become a member of the faculty as well. He recently researched and proposed standards of ultrasound practice regarding oocyte retrieval techniques and he became actively involved with the European Society of Human Reproduction and Embryology. Sophie is an experienced Sonographer and works both in the NHS and in the private sector. 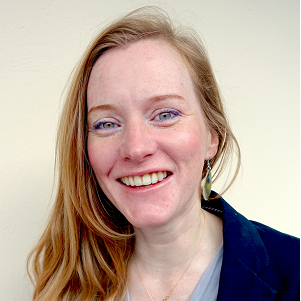 She has worked in Aneurin Bevan University Health Board since 2012 and has a Post Graduate Diploma in Medical Ultrasound from graduating in University of South Wales. Sophie has a special interest in Foetal Medicine and in particular foetal cardiac scanning. In the NHS Sophie is proficient with general abdominal, gynaecological and all aspect of obstetrics. On the weekends and evenings she enjoys 4D bonding scanning in the private field as she enjoys a more relaxed and intimate atmosphere. She has been involved in training prospective Sonographers and Midwives from different faculties. Outside of work, Sophie enjoys spending time with her family and long walks with her very much loved dog. She is an event organiser for Ethnic Minority Women in Welsh Healthcare, in which the group recognises the talents of all Asian women and girls, and increases their self-esteem and motivation. Laura graduated from Cardiff University with BSc(Hons) Radiography and Imaging 2011. She trained in Obstetrics and Gynaecology ultrasound at Royal Gwent Hospital, Newport and later took an Advanced Practitioner Sonographer post within Abertawe Bro Morgannwg Health Board in 2014. 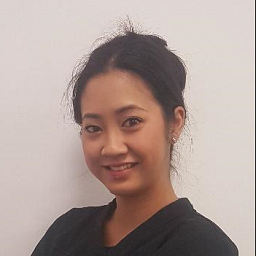 After completion of General Abdominal ultrasound training at Morriston Hospital, Swansea and graduating from University of South Wales with a PG(Dip) in Medical Ultrasound 2015, she is currently studying towards MSc Medical Ultrasound at the University of the West of England for completion in 2019. Previously, Sue worked in the insurance industry for 29 years. She had a variety of roles, from administration work, reports/data analysis to management. She joined Advanced Medical Simulation Online in May 2017.